This is the USDA Farm Service Agency newsletter for February. The most important items for producers are the announcement for the 2013 DCP sign-up, 2011 SURE sign-up, ECP sign-up, and sign-up for the EQIP, salinity and special initiatives funding. The Direct and Counter-Cyclical Payment Program (DCP) and the Average Crop Revenue Election (ACRE) Program are being offered for the 2013 crop year under the 2008 Farm Bill Extension. DCP and ACRE sign-up for 2013 crops will begin on February 19, 2013. The DCP sign-up period will end on August 2, 3013 and ACRE sign-up will end on June 3. 2013. The only program change from 2012 to 2013 is that all eligible participants in 2013 may choose to enroll in either DCP or ACRE for the 2013 crop year. This means that eligible producers who were enrolled in ACRE in 2012 may elect to enroll in DCP in 2013 or may re-enroll in ACRE in 2013 (and vice versa). The ACRE program Fact Sheet and DCP Fact Sheet can be found on at www.fsa.usda.gov, under Fact Sheets. Lincoln County FSA Office, PO Box 97, Hugo, CO 80821. Phone: 719-743-2408. Fax: 719-743-2501. Office Hours: Monday through Friday 8 a.m. - 4:30 p.m.
March 25 - Hispanic and women farmers and ranchers claims deadline March 25, 2013. 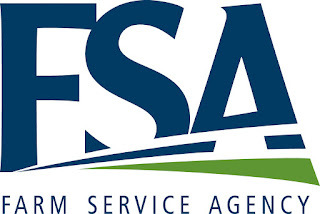 The Farm Service Agency (FSA) will continue to accept SURE applications for 2011 crop losses through June 7, 2013. Under the 2008 Farm Bill, SURE authorizes assistance to farmers and ranchers who suffered crop losses caused by natural disasters occurring through Sept. 30, 2011. During 2011, 49 counties in Colorado received a Secretarial Disaster Designation, whether primary or contiguous, and producers are eligible to apply for SURE benefits if they experienced at least a 10 percent production loss that affects one crop of economic significance. To meet program eligibility requirements, producers must have obtained a policy or plan of insurance through the Federal Crop Insurance Corporation or obtained Noninsured Crop Disaster Assistance Program (NAP) coverage for all economically significant crops. Eligible farmers and ranchers who meet the definition of a socially disadvantaged, limited resource or beginning farmer or rancher do not have to meet this requirement. Forage crops intended for grazing are not eligible for SURE benefits. For more information on SURE program eligibility requirements contact your local FSA office or visit the website at http://www.fsa.usda.gov/sure. Lincoln County has been approved for Emergency Conservation Program (ECP) assistance. The approved ECP practices provide assistance to qualified farmers and ranchers wishing to implement water conservation and enhancement measures to permit grazing of range, pasture, or forage by livestock or provide emergency water for confined livestock operations. Only those farms or ranches that had adequate livestock watering systems or facilities before the drought are eligible for cost share assistance. Cost share assistance for the program has been established at 75% of eligible cost for each practice. ECP signup is effective immediately and will continue through April 4, 2013. The established Managed Grazing period of CRP land for Lincoln County begins July 16 and continues through September 30th of each year. The established Managed Haying period also begins July 16, but ends August 31 of each year. Producers who are approved to utilize these practices shall be assessed a payment reduction based on the number of acres actually hayed or grazed times the CRP annual rental payment times 25 percent, as applicable. These practices may be authorized no more than 1 out of every 3 years for contracts approved before September 26, 2006. For contracts approved after September 26, 2006, Managed Haying may be authorized 1 out of every 10 years and Managed Grazing may be authorized 1 out of every 5 years. For all contracts emergency haying or grazing resets the clock. The noninsured crop disaster assistance program (NAP) is a federally funded program that helps producers reduce their risk when growing food and fiber crops, specialty crops and crops for livestock feed. These benefits are only available for crops for which the catastrophic level of crop insurance is not available. Application for coverage must be filed by the applicable crop’s application closing date. Production records for all crops must be reported to FSA no later than the acreage reporting date for the crop for the following year. FSA requires that any production reported in a loss year be verifiable according to Agency specifications. NAP Losses must be reported within 15 days of the date the loss became apparent. All applications for NAP payment must be signed by the subsequent crop year's acreage reporting date in order to be considered timely. There are no late-file provisions for NAP applications for payment. The following crops have a NAP application closing date of March 15, 2013: amaranth, artichokes, beans, beets, broccoli, brussell sprouts, buck wheat, cabbage, melon, cantaloupe, carrots, cauliflower, celery, corn, cucumbers, eggplant, flaxseed, flowers, gourds, grain sorghum, turnips, watermelon, sugar beets, sunflower, potatoes, tomatillos, tomatoes, greens, herbs, honey dew, kochia, kohlrabi, leeks, lentils, lettuce, millet, oats, okra, peas, peppers, potatoes, pumpkins, quinoa, radishes, rapeseed, rutabaga, safflower, forage sorghum, soybeans, squash, strawberries. The Natural Resources Conservation Service (NRCS) in Colorado recently announced two application cutoff dates of Friday, February 15, and April 19, 2013, to sign up for fiscal year 2013 general Environmental Quality Incentives Program (EQIP), Salinity Control Program, and Special Initiatives Program funding. Eligible applications received after the cutoff period may be considered during a later time and will be processed throughout the fiscal year as needed. A total of $21 million in financial assistance is available to landowners who implement a quality conservation plan designed to benefit soil, water, air, plants, and/or wildlife resulting in not only productive lands but healthy ecosystems as well. NRCS continually strives to put conservation planning at the forefront of its programs and initiatives. Conservation plans provide landowners with a comprehensive inventory and assessment of their resources and an appropriate start to improving conservation efforts on their land. Nearly $16 million of the total funding is intended to implement practices associated with general EQIP and the Salinity Control Program, while the remaining $5 million will help fund the following eight voluntary special initiatives: organic, air quality, high tunnels, energy, sage grouse, lessor prairie chicken, Ogallala, national water quality. USDA has announced that Hispanic and women farmers and ranchers who allege discrimination by the USDA in past decades can file claims between Sept. 24, 2012 and March 25, 2013. The process offers a voluntary alternative to litigation for each Hispanic or female farmer and rancher who can prove that USDA denied their applications for loan or loan servicing assistance for discriminatory reasons for certain time periods between 1981 and 2000. As announced in February 2011, the voluntary claims process will make available at least $1.33 billion for cash awards and tax relief payments, plus up to $160 million in farm debt relief, to eligible Hispanic and women farmers and ranchers. There are no filing fees to participate in the program. The department will continue reaching out to potential Hispanic and female claimants, around the country to get the word out to individuals who may be eligible for this program so they have the opportunity to participate. Call center representatives can be reached at 1-888-508-4429. Claimants must register for a claims package (by calling the number or visiting the website) and the claims package will be mailed to claimants. All those interested in learning more or receiving information about the claims process and claims packages are encouraged to attend meetings in their communities about the claims process and contact the website or claims telephone number. Website: www.farmerclaims.gov. Phone: 1-888-508-4429. Claims Period: Sept. 24, 2012 - March 25, 2013. Independent legal services companies will administer the claims process and adjudicate the claims. Although there are no filing fees to participate and a lawyer is not required to participate in the claims process, people seeking legal advice may contact a lawyer or other legal services provider. USDA is an equal opportunity provider and employer. To file a complaint of discrimination, write to USDA, Assistant Secretary for Civil Rights, Office of the Assistant Secretary for Civil Rights, 1400 Independence Avenue, S.W., Stop 9410, Washington, DC 20250-9450, or call toll-free at (866) 632-9992 (English) or (800) 877-8339 (TDD) or (866) 377-8642 (English Federal-relay) or (800) 845-6136 (Spanish Federal-relay).